Broughton Grange. The garden was designed by Tom Stuart Smith. 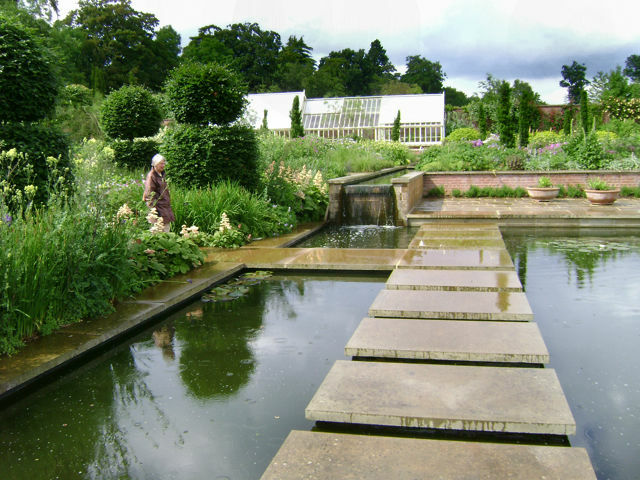 Like many famous garden designers, Tom was educated in landscape architecture. Landscape architecture developed in ancient West Asia from the twin arts of urban design and garden design. Both involve the composition of landform, water and vegetation with buildings and paving. The Epic of Gilgamesh (one of the oldest literary works) describes the walled city of Uruk as being ‘One league city, one league palm gardens, one league lowlands and the open area of the Ishtar Temple’. Similarly, in China and elsewhere in East Asia, there was little distinction between urban design and garden design. Ancient China had ‘palace cities’ and ‘king cities’ occupied exclusively by the emperor, his relatives and his nobles. They lived in residential compounds with courtyard gardens, protected from the outside world by high walls.